This impressive award features a stopwatch and swim goggles on a star-studded shield of antique gold framed by a wreath design. Simply add a plate to this budget-friendly award to personalize it for your event. 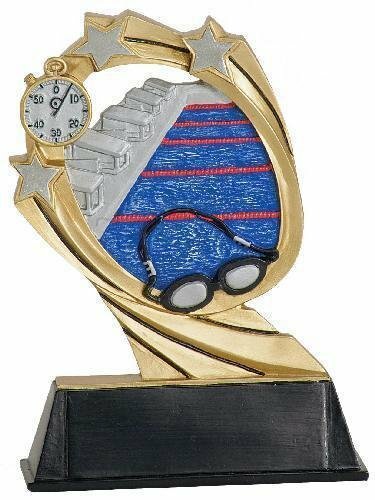 The Swimming Shield Award is available in 2 sizes and is a great way to acknowledge skill and speed in the swimming pool.